Programs: Review information for the on-the-job training programs we offer. Applications: Covers everything you need to know about the application process for any of our programs. Classes: Check here for upcoming classes held at the Training Center. Class sizes are limited so you must register for a class to attend. Registration is open to all members of IBEW 124. JW Classes: Includes a list of all possible JW classes and allows registration for online JW classes. CW CE Classes: Go here to review options and register for online CW/CE Classes. Facilities: A look into the lab facilities available at the Training Center. College Credits: Learn more about earning college credits during an Inside Wireman Apprenticeship. Tool Lists: See current lists of the tools required for each of our training programs. Related Sites: A list of links to websites related to the JATC. If you are currently with the JATC and need to report your hours for the month, go to kchours.org. It is the Kansas City Joint Apprenticeship and Training Committee's mission to provide the highly skilled workforce necessary to meet customer needs and ensure job satisfaction for electrical workers. The International Brotherhood of Electrical Workers (IBEW) and National Electrical Contractors Association (NECA) join together to sponsor the most rigorous and respected apprenticeship training programs. 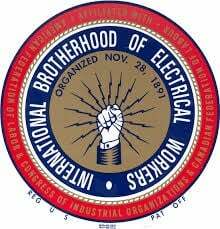 The International Brotherhood of Electrical Workers is the largest electrical union in the world. It represents workers' rights in all areas of the electrical and telecommunications industries. The JATC works in close partnership with IBEW Local Union 124 in Kansas City, Missouri. 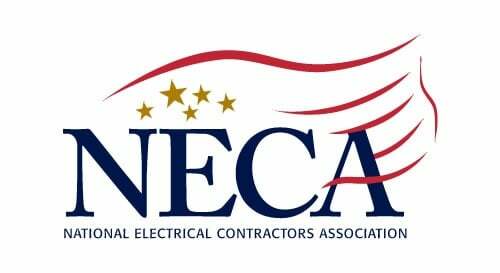 The National Electrical Contractors Association represents union electrical contractors who perform quality work on time and on budget, guarantee their installations, and take an interest in ensuring quality compensation for their employees.